We can provide a wide range of packages to suit any skill level for parties large and small. If required, we can also include a great range of food to complete your day. Simply choose from our standard packages below or contact us to tailor your own. The Gold Clay shooting package is for a minimum group of 4 people and is ideal for Stag/Hen Parties, corporate entertainment, Birthday Parties, or for a group of friends wanting a great day out. Your day will last approximately 4 hours from start to finish, and can be custom designed to fit your needs perfectly. You can bring alcohol for after the event, but the consumption of alcoholic beverages prior or during the shooting is strongly prohibited. 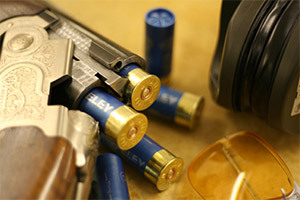 The Flush Shooting days are our most popular and provide great entertainment for all involved. The Silver Clay shooting package is for a minimum group of 2 people and is ideal for Stag/Hen Parties in the Manchester area, corporate entertainment, Birthday Parties, or for a group of friends wanting a great day out. Depending on the group size, your day will last approximately 2-3 hours from start to finish, and can be custom designed to fit your needs perfectly. You can bring alcohol for after the event, but the consumption of alcoholic beverages prior or during the shooting is strongly prohibited. The Silver Shooting days are great fun and an extremely cost effective way in to spending a great day with us. The Silver Package can be booked for any day during the week if there is a minimum of 10 people. For less than 10 people you can book for a Wednesday, Saturday or Sunday. Our shooting packages are great for Stag/bachelor Parties in Manchester, Hen parties in Manchester and Corporate Events in Manchester. The Bronze Clay Shooting package is for a minimum of 1 person and is ideal for Stag/Hen Parties, corporate entertainment, Birthday Parties, or for a group of friends wanting a great day out. None, however, full catering facilities are available. Depending on the group size, your day will last approximately 1.5 - 2.5 hours from start to finish, and can be custom designed to fit your needs perfectly. You can bring alcohol for after the event, but the consumption of alcoholic beverages prior or during the shooting is strongly prohibited. The Bronze Shooting days are great fun and an extremely cost effective way to spend a great day with us. The Bronze Package can be booked for any day of the week except mon if there is a minimum of 5 people. For less than 5 people you can book for a Wednesday, Saturday or Sunday. The Bronze with Flush Clay Shooting package is for a minimum group of 4 people and is ideal for Stag/Hen Parties, corporate entertainment, Birthday Parties, or for a group of friends wanting a great day out. A non refundable deposit of £20 per person is required at the time of booking. Full payment must be made 2 weeks prior to the shoot.